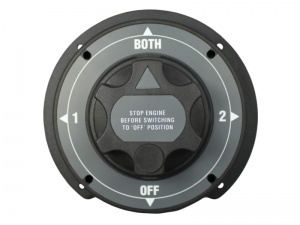 Marine Battery Isolator/Changeover Switch - 4 Positions - 310A Cont. 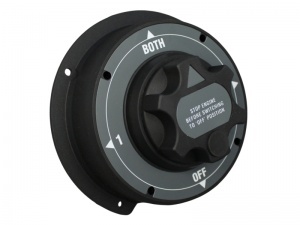 4 position (1 ON / 2 ON / 1+2 ON / 1+2 OFF), single pole marine battery isolator / changeover switch with fixed control knob and round body profile. 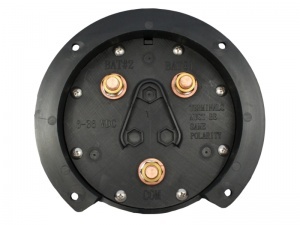 For selection / isolation of 2 batteries (or battery banks) on boats. Useful for selecting power sources, preventing battery drain if left for long periods, or isolation of the power sources in an emergency. The isolation switch is of excellent quality 10/10 followed by a fast delivery,no problems.